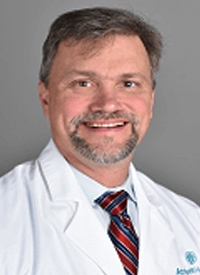 Within gastric and gastroesophageal junction (GEJ) adenocarcinoma, strategies such as angiogenesis inhibition, cytotoxic therapy, and most recently, immunotherapy, are all beginning to have more refined roles in the treatment paradigm, explained J. Stuart Salmon, MD. In February 2019, the FDA approved TAS-102 (trifluridine/tipiracil; Lonsurf) as a third-line therapy for adult patients with metastatic gastric or GEJ adenocarcinoma who were previously treated with ≥2 prior lines of chemotherapy that included a fluoropyrimidine, a platinum, either a taxane or irinotecan, and HER2/neu-targeted therapy, if appropriate. Although the approval garnered much excitement, as TAS-102 is the first agent to demonstrate a survival benefit in the third-line setting, Salmon explained that the results of the KEYNOTE-181 trial sparked renewed interest in the use of immunotherapy in gastric/GEJ cancer. In the study, pembrolizumab (Keytruda) monotherapy induced a median overall survival (OS) of 9.3 months in patients with advanced/metastatic esophageal cancer and a PD-L1 combined positive score (CPS) ≥10 compared with 6.7 months with physician’s choice of chemotherapy (HR, 0.69; 95% CI, 0.52-0.93; P = .0074). He added that there is a subset of patients who seem to significantly benefit from this approach. “Those patients may need to get immunotherapy earlier in the disease,” he said. “There's also a subset of patients who do not seem to benefit at all, and they may never be appropriate for immunotherapy.” For those patients, ramucirumab (Cyramza) and paclitaxel remain viable second-line options. In an interview during the 2019 OncLive® State of the Science Summit™ on Gastrointestinal Cancers, Salmon, a medical oncologist at the Levine Cancer Institute, highlighted first-, second-, and third-line treatment options for patients with gastric and GEJ cancer following recent clinical trial findings and regulatory approvals. OncLive: What does the treatment landscape of gastric/GEJ cancer look like right now? Salmon: There were several seminal papers in the past year. The first one was the TAGS study, in which investigators looked at the use of TAS-102 in patients with advanced gastric adenocarcinoma in the third-line setting. It was a positive stud; patients had improved OS and the treatment was found to be well tolerated. We then moved on to discuss anti-HER2 therapy, which included negative studies with the addition of pertuzumab (Perjeta) to trastuzumab (Herceptin) with platinum and fluoropyrimidine-based therapy in patients with HER2-overexpressing gastric cancer. Unfortunately, the JACOB study was a negative study. The addition of pertuzumab did not improve OS. [However], there was a statistically significant improvement in progression-free survival (PFS), and there was improvement in response rate. There may be a signal of activity, although it did not meet the standard of statistical significance. At this point, there is no role for pertuzumab in the treatment of those with HER2-amplified gastric cancer. We then discussed the role of antiangiogenic therapy in advanced gastric and gastroesophageal carcinoma. We have one antiangiogenic agent approved by the FDA for the treatment of patients with gastric cancer in the United States; that's ramucirumab. The approval was based on positive data from 2 large phase III registration studies published in 2014: REGARD and RAINBOW. These studies demonstrated improvement in OS. In REGARD, patients who were randomized to receive ramucirumab versus placebo in the second-line setting experienced an OS benefit. In RAINBOW, patients who were given paclitaxel with ramucirumab in the second-line setting [experienced a benefit in OS]. Both studies met their primary endpoint. Now, ramucirumab is approved and has become a standard part of our armamentarium in the United States.